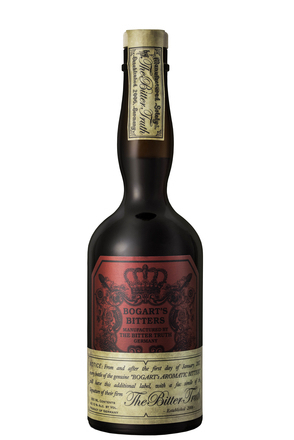 A historic brand of bitters originally created by Johann Gottlieb Böker in 1828 and produced until the 1920s. 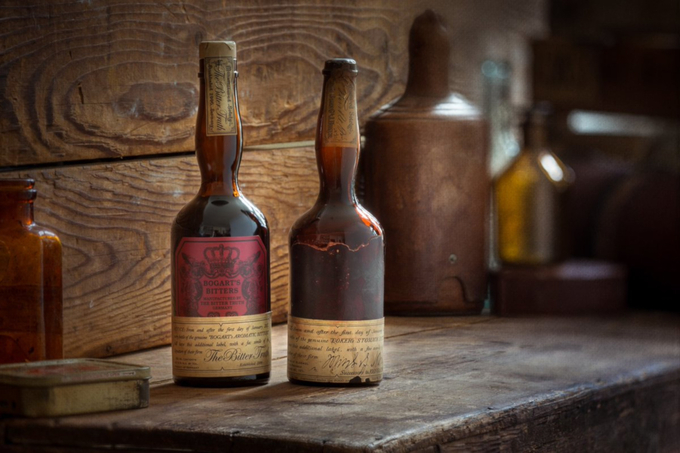 However, the historic notoriety of these bitters has led to at least three different modern-day producers using surviving vintage bottles and written information to reimagine and recreate these historic bitters. Part of the legendary nature of these bitters is due to their being the only bitters specified in what is regarded as the world’s first cocktail book, Jerry Thomas’ 1862 The Bar-Tender’s Guide. Or at least, these are believed to be the bitters Jerry Thomas is referring to. The complication is that he specifies “Bogart’s bitters” in the book rather than Boker’s Bitters. 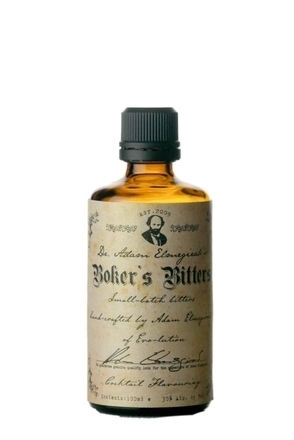 However, there wasn’t a Bogart’s brand of bitters at the time while Boker’s was one of the biggest brands, if not the biggest, so it is presumed that this is a mistake and he actually meant Boker’s Bitters. This presumed manuscript error was not just repeated once but six times with four of those recipes appearing on the double page spread below. However, in his second 1887 edition, Bogart's is replaced with Boker's Bitters. One of the six recipes, the Brandy Champerelle, which he describes as "a delicious French café drink", is a three-equal parts cocktail to challenge the modern day Trinidad Sour with a whopping one-third Bogart's Bitters. Fittingly, one of the modern-day producers to revive these bitters, The Bitter Truth, have chosen to honour Jerry Thomas by naming their interpretation Bogart’s Bitters rather than Boker’s Bitters. While Jerry Thomas my have meant Boker’s rather than Bogart’s, there is no doubt over Boker’s Bitters being specified by name in the first known recipe named Dry Martini which appeared in the second edition of Harry Johnson's Bartender Manual (published 1888). Boker’s was one of, if not the leading brand of aromatic bitters until The Pure Food and Drug Act of 1906 prohibited such bitters using unprovable cure-all medical claims as part of their marketing in the USA. Prior to this, medicinal sales of aromatic bitters where huge while use in cocktails was responsible for comparatively small volumes. However, this was the golden age of cocktails so there was still a bright future for Boker’s Bitters. That was until Prohibition hit America, forcing the eventual closure of the Boker's company in the 1920s. The folk at The Bitter Truth have not only strived to match the liquid in an original bottle of Boker’s but also to recreate the historic shapely brown glass bottle, known as a Lady Leg bottle. Although rare surviving bottles which the lucky few have tasted will have deteriorated due to age and oxygenation, it is accepted that Boker’s Bitters tasted of chocolate, coffee and dark spice with known ingredients including cassia, cardamom and bitter orange peel.